The Acoustic Festival of Britain offers four stages of unplugged and acoustic music covering live folk guitar music, country music, bluegrass, with a few legends, and some tribute acts.  Now in it's seventh year the festival is held from Friday 25th until Sunday 27th May 2012 at Uttoxeter Racecourse, in Staffordshire. The first headline act has been announced as Joan Armatrading on Saturday. Also confirmed are Uli Jon Roth (from The Scorpions), Pig Earth, Swans In Flight, John Cooper Clarke, Quill, Glenn Tilbrook, Tir Na Nog, Gordon Giltrap, The Animals, Stackridge, Gandalf Murphy & The Slambovian Circus Of Dreams, Robin & Bina Williamson, The Wee Bag Band, Joe O'Donnell's Shkayla, Rodney Branigan, The Re-Entrants, and Hat Fitz and Cara Robinson, with more acts still to be announced. For the line-up details as available please click click here. Latest additions include 7 Little Sisters, Shamus O'Blivion & the Megadeath Morrismen, Slow Burn, Fake Thackery, TJ & Murphy, Simon Kempston, Richard Cash, Gwyn Ashton, Ferral Mouth, Wildfire Folk, Grassoline, and Radio Mary. Plus contortionist comedian Chris Cross, and Hamana West African Drum & Dance Company. Poetry & spoken word from Jason Richardson, Paul Cookson, KRafT (Dan Favill), and Michael Clift. Dancing from Black Pig Morris Men, The B.U.M.S, The Balimino Dancers, Uttoxeter Dance Studio & Shimmy Amrmagedon. Early bird tickets are on sale. An adult weekend ticket is priced at £85 including camping (or £70 without camping), child weekend camping tickets for those aged 10 - 15 years are priced at £20 or £15 without camping. Children under 10 can attend for free but still need a ticket. All children must be accompanied by an adult. Day tickets are not yet on sale. Uttoxeter Racecourse will be charging a £5 parking Fee, payable on entry. This will be charged on all vehicles using the day car park, as well as all vehicles taken onto the campsite. Early Bird tickets can be bought until the new year with the option to pay in installments over 4 months (Offer Ends Dec 31st). Pay approximately 25% of the cost of the tickets, and then pay off the balance in 3 monthly payments. To buy installment tickets, click here.